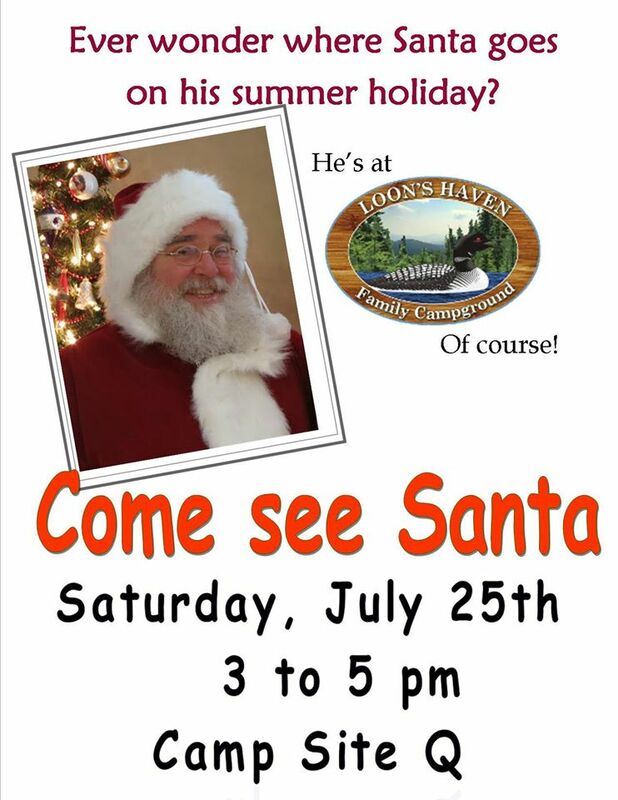 Big doings this weekend here at Loon’s Haven. 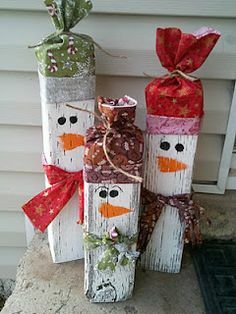 Friday night is our “Looney Paint Night”, if you haven’t signed up yet, now is the time. Our instructor needs a head count. $35.00 per person. 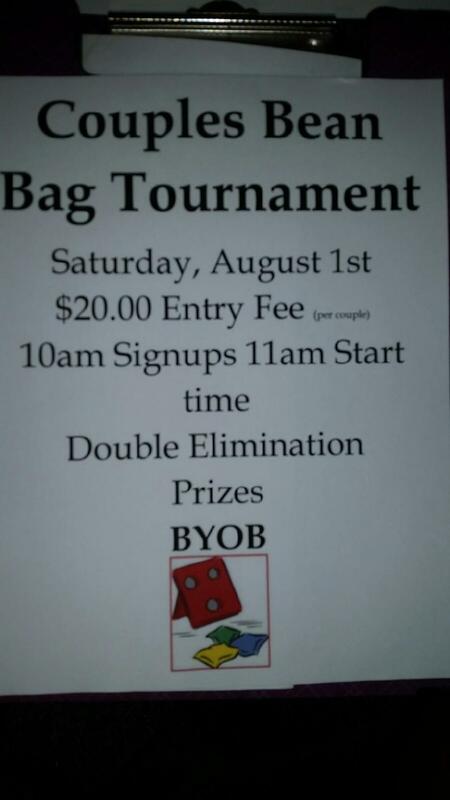 Saturday is our first Couples (adult) only Bean Bag Tournament. Hosted by Jack & Daryl Campbell at the horse shoe pits. Sign up at 10am, start time 11am. 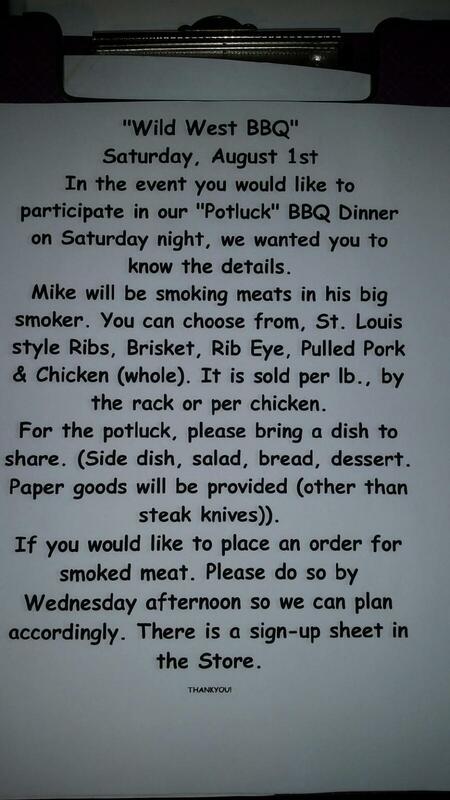 $20.00 per couple, BYOB, Prizes. Saturday 8pm it’s time for some Country Music & dancing!! Monday night movie 7pm – Mike’s Pick!!! There will be a Movie in the Rec Hall Monday, Wednesday & Friday evenings at 7PM. Tuesday & Thursday there will be an outdoor game activity at 11AM. We hope to keep this schedule for the remainder of the summer with exceptions for weather & other necessary changes. Friday night movie times may change due to other events in the Rec Hall. Check the white board & chalkboard as well as Facebook & the website for updates. 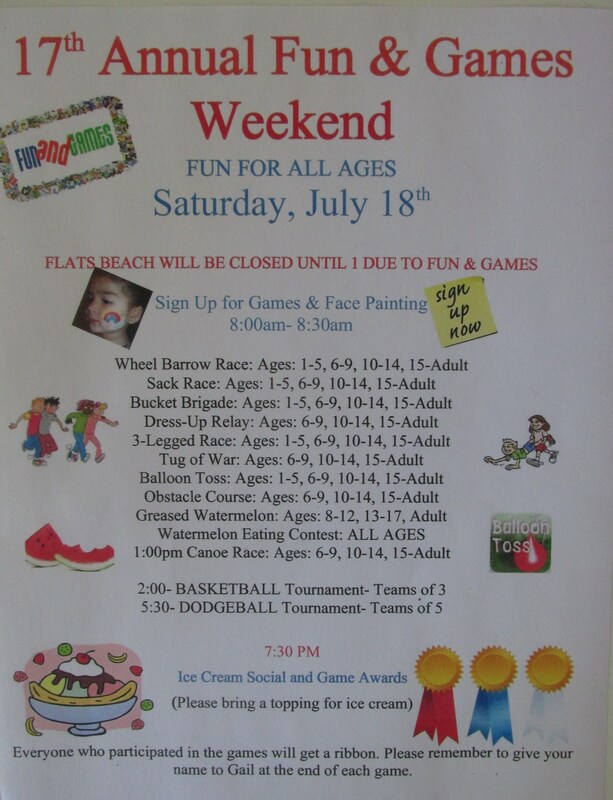 Unfortunately due to the weather, Fun & Games Day has been cancelled. 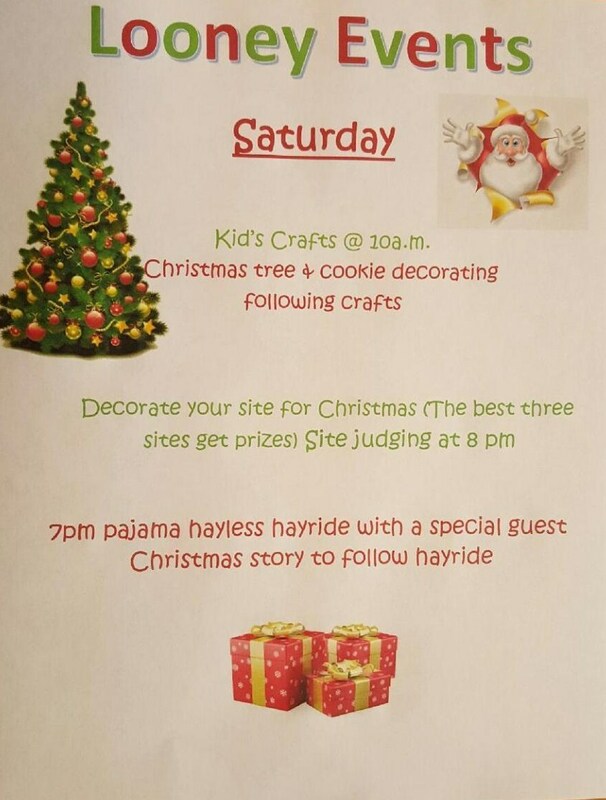 There will be activities for the kids in the Rec Hall at 10:00 AM. Our new Internet Service started being installed yesterday. It is almost complete. You must go to or call the Store to get your password. Each site has its own log-in & password. Please remember that if you give out your password to friends or family members, your bandwidth will decrease & your service will be slower. Other additions to the service will be coming & you will be updated when its time to be. I apologize to those who felt they should have been informed about the change prior to this & for any inconvenience it caused. 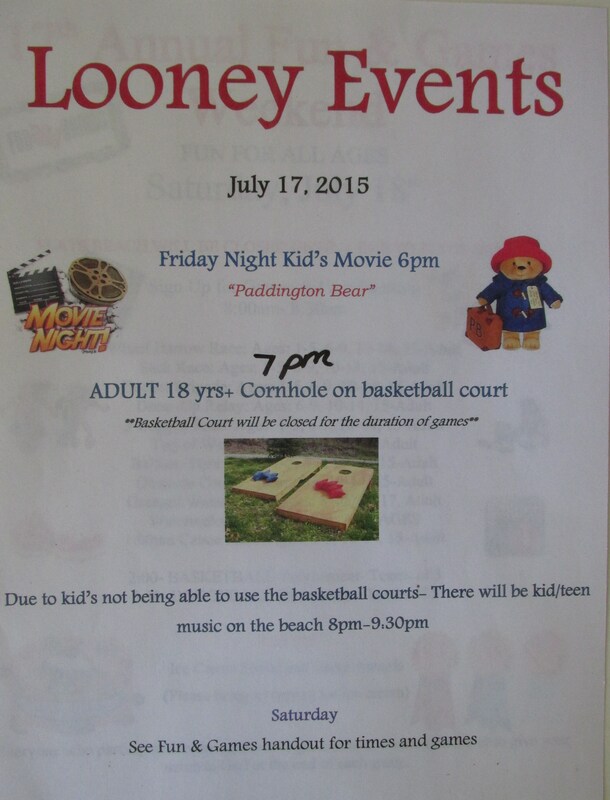 Here are the Looney Events as well as the Fun & Games Times. If you want your own copy, please ask at the Store. It is posted also on our Website & at both restrooms.